The Asia-Pacific hospital supplies market is expected to witness a CAGR of 12.5%, during the forecast period. There is swift growth in the China hospital industry due to the stable advancement of the health care reform and due to the constant increase in the demand stimulus. In the Asia Pacific, India has the lowest hospital number of the bed density figures among the major countries. A high, and unmet needs for the hospital supplies, like mobility aids & transportation equipment, sterilization & disinfectant equipment and patient examination devices has a demand, which exists in these developing countries. Hence, the shortage of the hospital supplies is generating a huge demand in the market, which is expected to boost the market globally. The other factors include growing population with lifestyle diseases, government investment in developing hospital infrastructure and the projected robust healthcare infrastructure growth. The global home healthcare market was almost USD 215 billion in 2013 and is projected to grow at 8% per annum until 2020. Due to this high growth in the market, many of the healthcare organizations are now partnering with the traditional home healthcare services, or are setting up their own home healthcare services to reduce the procedure and post-procedure costs for the patients. 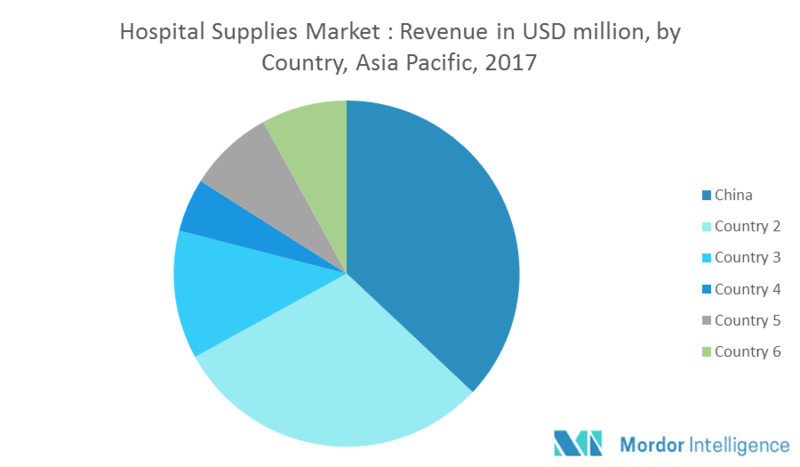 Thus, the increase in the usage of home healthcare services, and availability of reimbursement in the developing countries are acting as a huge barrier for hospital supplies market. The other factors include the high dependency on imports, stringent regulatory framework and capital-intensive nature of healthcare sector. The Asia-Pacific region is projected to grow in the upcoming future, due to the unprecedented rate of population growth in Asia-Pacific. There is rapid growth observed in China due to the stable advancement of health care reform and due to the constant increase in demand stimulus. The major players includes- GE Healthcare, Thermo Fischer and Scientific, Kimberly-Clark Corporation, Advanced Sterilization Products Services, Boston Scientific Group, 3M Healthcare, Becton Dickinson, Johnson & Johnson and Smith & Nephew, among others.